Looking to escape somewhere nice and not too far from Perth. You want to relax on a nice sandy beach or do some sport? Well, Lancelin is the place to go. 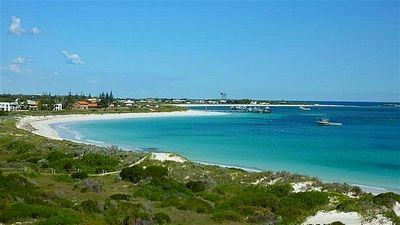 About an hours and a half drive North of Perth, Lancelin is a small town that stretches along a bay, with the Indian Ocean on one side and sand dunes on the other. I've been to Lancelin so many times; I can't even count them anymore. I've been during every season of the year, and beginning or end of summer is definitely the best time to go. It's neither too cold nor too hot. So, I suggest you take your car, drive down with a couple of friends and check out this town. You would be surprised how much activities they have in such a little town. When the weather allows it, Lancelin beaches and the reefs around are the perfect places to go snorkelling, diving or surfing. The beach is really clean and the water a clear blue. For the professional divers, there are many shipwrecks to explore. 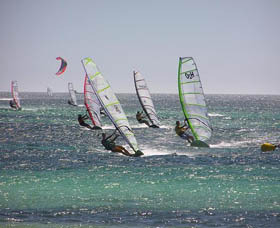 For surfers or kite surfers, it is an ideal place to go. The waves are great and there is always enough wind for you to have fun. The equipment for all these activities can be hired in the town centre. Don't worry the town is really small; you won't have a hard time finding everything. If you are not the sports kind of person, the beach is just great. You can relax and enjoy the sun. If you are lucky you might be able to see dolphins in the water. On the other side of the town you can find the amazing endless dunes. You won't find any other places around Perth like this one. Very popular for sand boarders, quad drivers, motor bikes and four-wheel drive cars. I'm actually the kind of person who would stay on the beach and enjoy the seas but the dunes are so amazing. I did a little sandboarding myself. Very fun! And, once up the top of the dunes, the view is just breathless. Prepare yourself though, because the walk up is pretty harsh. There are many choices of accommodations for every taste. 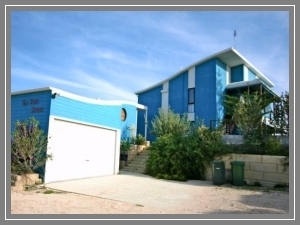 There are backpackers, caravan parks, hotels, cottages and houses. I usually go with a group of friends and rent out a small cottage or house for the weekend. It ends up being quite cheap when you're a few people. 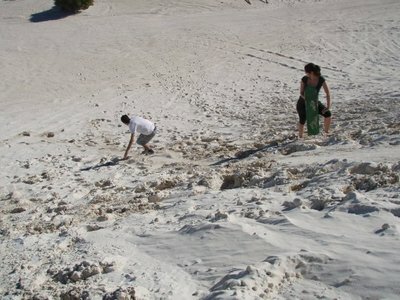 Apart from all that, Lancelin has a couple of shops in the main centre, with good restaurants or quick meal places. There is also a little Deli shop for those who prefer cooking their own meal or enjoy a nice barbecue. The town also has a bottleshop and a small tavern close to the main shops.